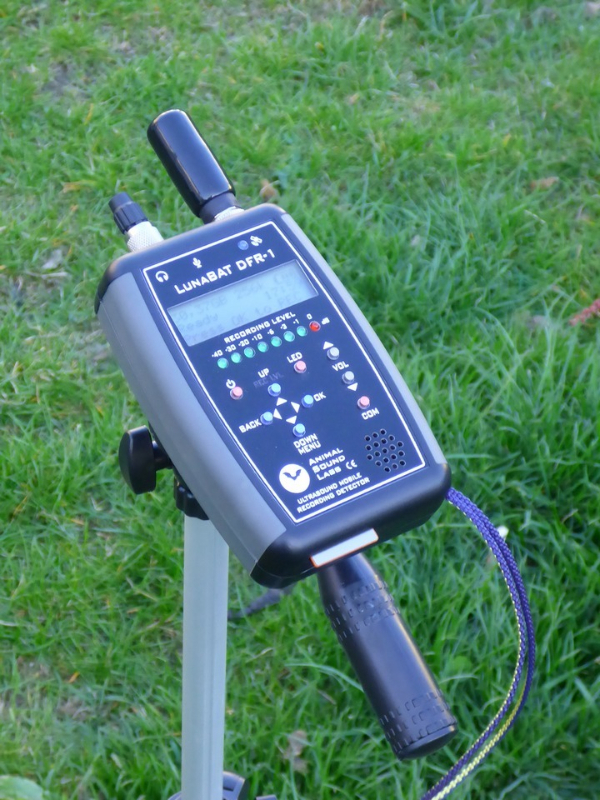 SMALLEST DETECTOR WITH FULL SPECTRUM RECORDER ! WORLD’S ONLY DETECTOR WITH TEMPERATURE & HUMIDITY SENSOR ! 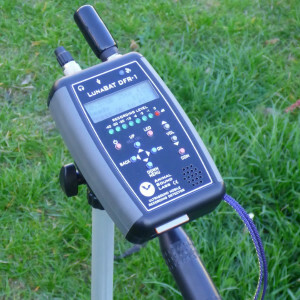 OPTIONAL GPS LOGGING ON GOOGLE MAPS & GOOGLE EARTH ! Easy to use, compact and lightweight, broadband ultrasound detector equipped with a specialized Broadband HF Direct Full Spectrum SD-Card Recorder and FD-type detection for live listening of ultrasounds on embedded speaker or headphones. Integrated recorder enables high resolution recording of ultrasounds, not distorted by detecting circuits. 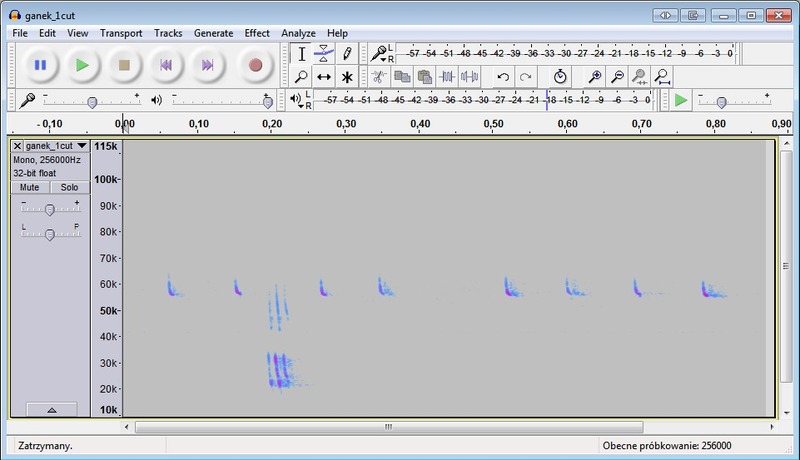 In contrast to any commercially available digital recorder (like Korg MR-2, Sony PCM-D100) can also record the echolocation of the Lesser horseshoe bat (Rhinolophus hipposideros) – see: the last picture in SPECTROGRAMS tab. NOW WITH 3-YEAR WARRANTY AND FREE WORLDWIDE SHIPPING ! Possibility to synchronize internal Real Time Clock with GPS / Glonass clock via GPS/Glonass optional GP-1 or GP-2 receiver with ability to localized time shifting. 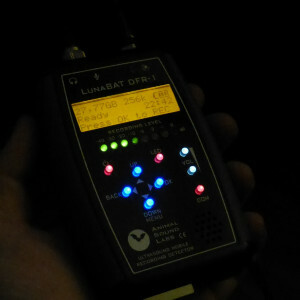 NOTE FOR USERS: Embedded Frequency-Division detector is parallel and independent signal path and is designed mainly for live listening, but because of significant superiority of High Frequency (Full Spectrum, Direct Recording) system over any FD-type detection – the live listening feature should be treated rather as “audible indication of normal and stronger ultrasounds”. Broadband HF (FS, DR) system is much more sensitive than FD-system, due to the lack of effects of threshold action in the signal path, and also because of possibility to completely disable High-Pass Filter, which is always enabled in the FD signal path. THEREFORE THE ECHOLOCATIONS OR SOCIAL CALLS CAN BE RECORDED EVEN IF THEY ARE NOT AUDIBLE FROM INTERNAL SPEAKER (OR FROM CONNECTED HEADPHONES). Read more in the “Latest upgrades” section. 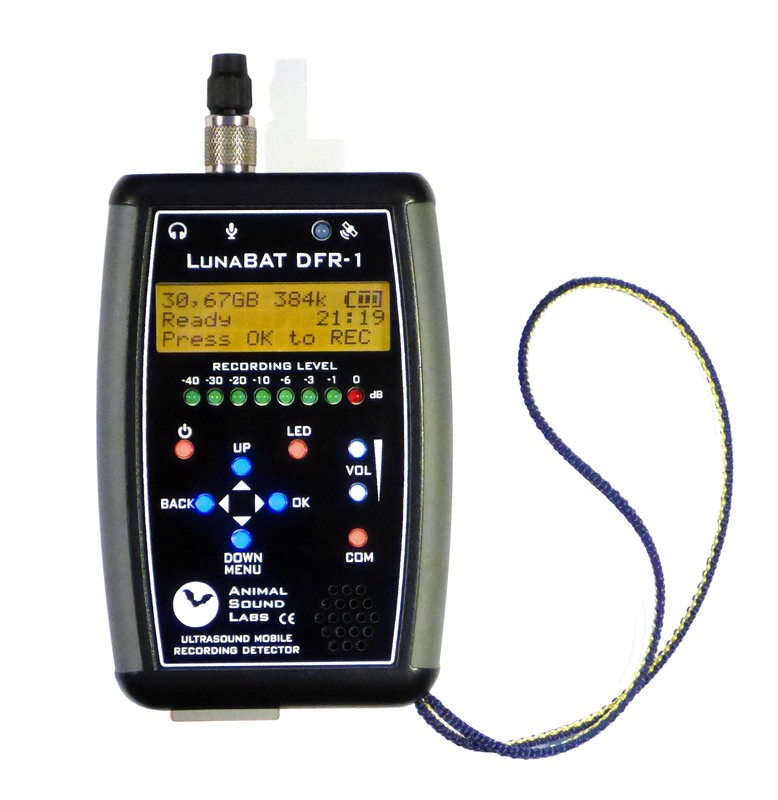 The LunaBat DFR-1 detector shows not only less noise than the Wildlife Acoustics EM3+, but also the recorded signals have a significantly wider frequency spectrum, and even the remains of the second harmonic around 80 kHz are visible. Recording 3 – time expanded (10x slower) preview file. 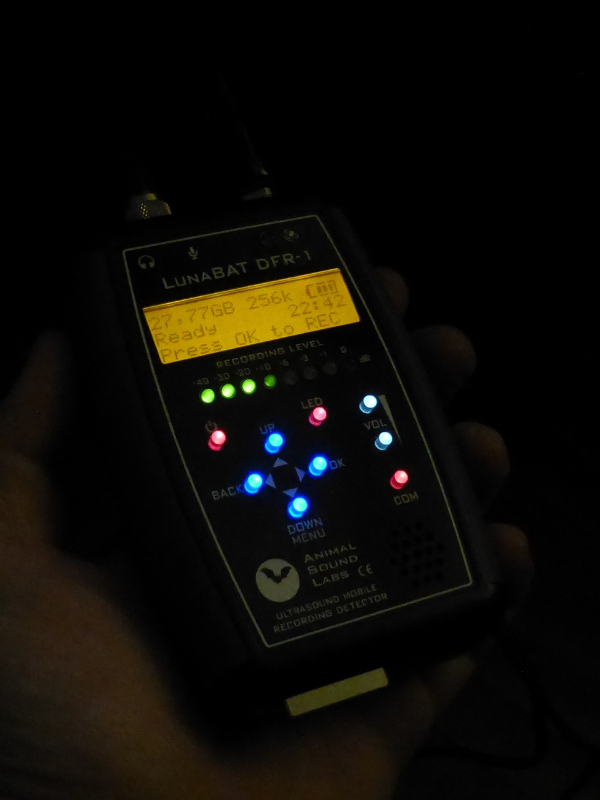 Max recording time = summary time of all WAV files in manual recording mode until battery depletion and detector is going to sleep (at ~1.0V/cell). *NOTE: The cheap Aerocell primary alkaline batteries from Lidl discount have the capacity ~2170mAh after discharging to 0,8V with 250/350mA current, and 1550-1600 mAh when discharged in the detector, which is currently optimized to use with Ni-MH rechargeables, and therefore recording times on primary cells are relatively weak, but it will be improved in future firmware versions. Memory cards from different manufacturers differ in actual capacity, eg. the card added with the detector (Samsung 32GB SDHC UHS-1) has real capacity 31 426 871 296 B. Here is assumed that 1 GB = 1024 MB = 1 048 576 KB = 1 073 741 824 B.
possibility to generate popular Google KML files directly on the memory card without the need for additional converters. When writing the WAV files, the log files (in simple TXT format) are also written to the memory card. Log files includes the readings from internal temperature and relative humidity sensors, and (if connected) the GPS receiver status with geolocation coordinates. The names of the generated TXT logs are identical to the names of the simultaneously recorded WAV files, in YYYY-MM-DD_GGMMSS.txt format (Year-Month-Day_HoursMinutesSeconds), so the readable data can be uniquely assigned to the recordings. In the new firmware versions (since ver.7.00), user can also generate the Google KML files directly on the memory card. They can be created in the standby mode from within the menu (MENU> SAVE KML). The data in created KML file are obtained from the TXT logs present in the root directory of the memory card. When this feature is selected, a dump.kml file is created on a memory card (also in the root directory). 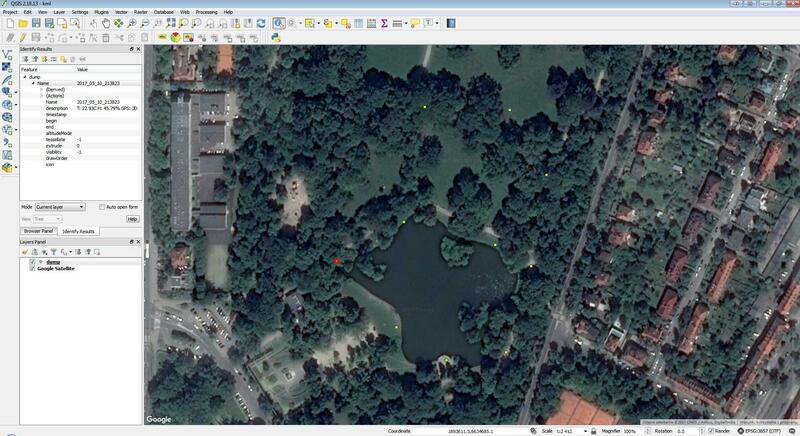 This file can be opened directly in Google Maps or Google Earth, or in other programs that accepts Google KML format. If necessary, the KML file can be also converted to other formats with eg. 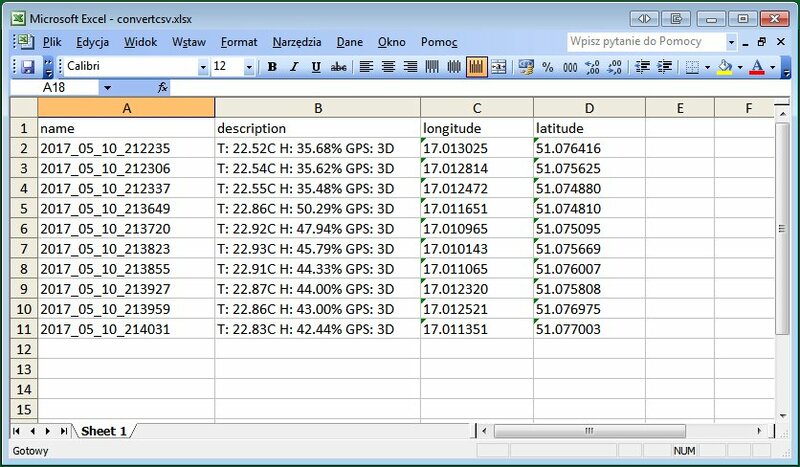 the free open source GPS Babel converter for further data processing in GIS programs. Of course there are also TXT files, which can be used and processed in many other ways. 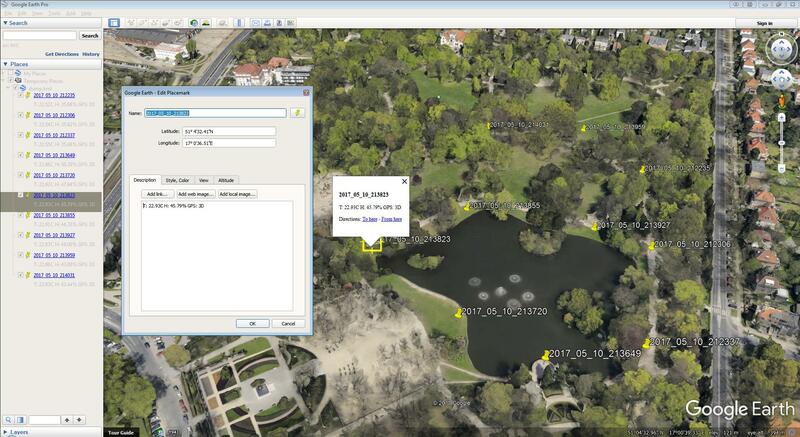 The log data in dump.kml file (in Google Earth and Google Maps) are contained in location descriptions. In the photo above you can see the places marked with the yellow thumbtacks in which the wav (and corresponding txt) files were created. The names of the files that contain the exact date and time of creating the WAV / TXT files are also displayed. The temperature and relative humidity and the type of the obtained fix (2D or 3D) in given place can be displayed by clicking on the thumbtack or by selecting the Properties of the thumbtack (or place in the Places on the left menu). Yellow dots are places, red dot is highlighted place and all data at marked place are in the Identify results window on the left side. The original sample dump.kml file generated in LunaBat DFR-1 detector used in the above examples can be downloaded HERE (click with right mouse button and choose “Save link as…“). Other useful links are available in the local Download tab on this page or in the global Download tab in the main menu on the top of the site. The coordinates (in NMEA 0183 format) are visible and can be used to create a Google KML file, or processed in a different way. For information about old style logging (firmware up to v.6.22) look HERE. NEW!! – now with set of new generation high capacity rechargeable batteries, 4x AA Fujitsu Black or Panasonic eneloop pro – (both types are manufactured in Japan by FDK Corp., min. 2450mAh, typ. 2600mAh) about 1/3 larger capacity than the “white” Fujitsu / eneloops ! Tripods – various types after prior arrangement. Links to useful tools and applications can be also found on the Download tab (at the top of the page), under Programs section. Standard and optional accessories are in the ACCESSORIES tab at the top of this page. NOTE: Current shipping time – up to 7 working days after payment.